Mary Bridget O'Brien was born into the thatched house on the corner of Main Street & Coffey Lane in, Ardmore. 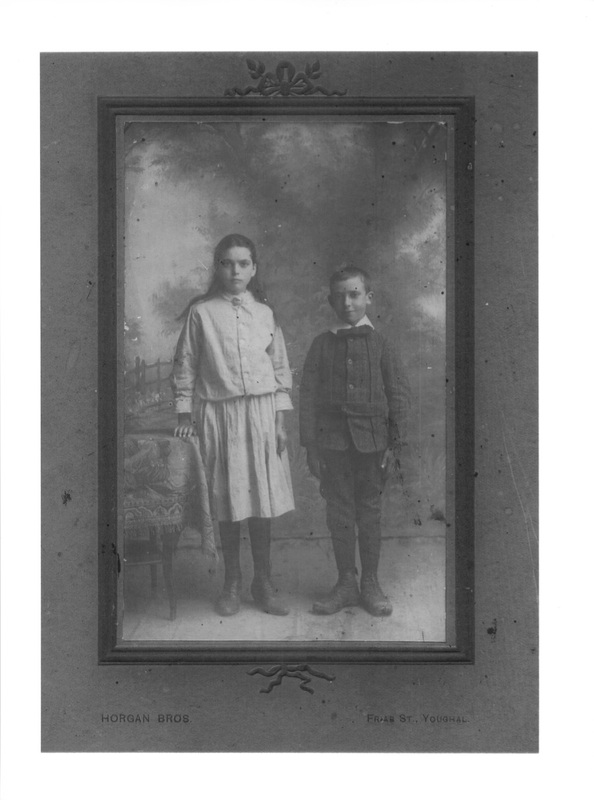 Here Mary is photographed with her brother Jack. Mary later married James Burke of Knockmeelmore, and after a while there they moved down to Crossford, to be closer to the village.